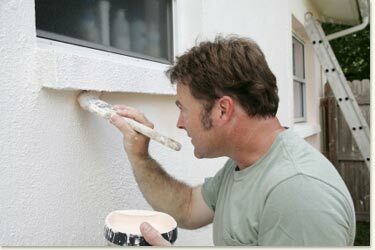 All aspects of interior and exterior painting are undertaken including thorough preparation (stripping old paint / sanding / filling), undercoating, glossing, staining, scumbling, colour matching, graining, painting on metal, glass, wood, floors, tile painting and many other specialist painting practises. We specialise in new build projects as well as traditional and modern building projects. From small-scale business premises to office blocks to factories, we'll consider all commercial work. We take enormous pride in our work; our professional workmanship means you're guaranteed a top quality job. We have plenty of happy customers; just ask for references. Professional painting and decorating requires professional materials, so we always use the best paints, spirits, fillers etc. In short, this means a higher quality finish. We start and finish on time. And if you work unsociable hours we are happy to accomodate you by working in the evenings and weekends. We always clean up after ourselves too.